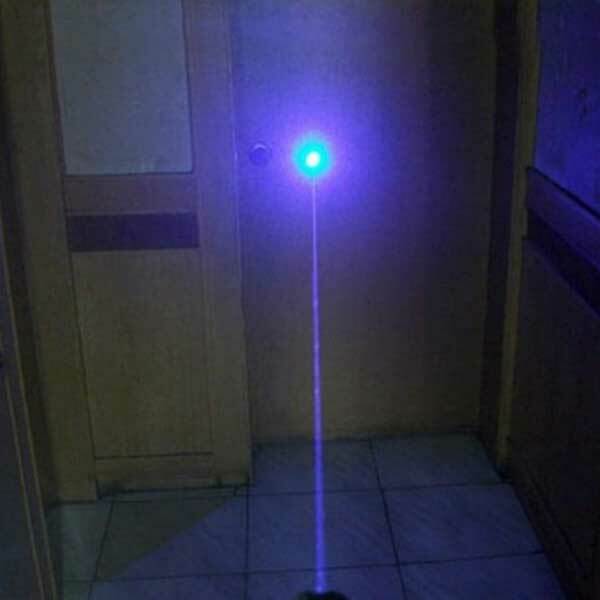 Fully coated with high-class aluminum material, this 300mW 405nm Purple Light Waterproof Laser Pointer Steel Casing Silver ensures the maximum durability and solid structure for resisting to shock, bump or collision. It is in particular design with kaleidoscope lighting style, varying in a converter of light refraction head. With a rotary adapter, it allows you to change the pattern freely. It is so compact-sized and lightweight that can easily fit into your small bag or pocket. Mainly used for speech, presentation or stage performance, it will allow you to easily get the desired targets. How about giving it a try?